I've Had Training!I'm Very ProtectiveUPDATED BIO! Young Simba lost his home when the adults in the home got divorced and suddenly the dogs they had were no longer wanted. Although still very young, Simba had been used as a breeding machine by his unfeeling owners. 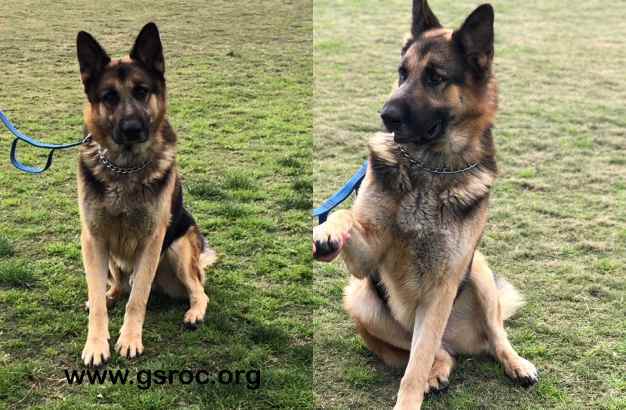 Simba is safe with GSROC now and learning to trust new people. He is leery of new people, men more than women. 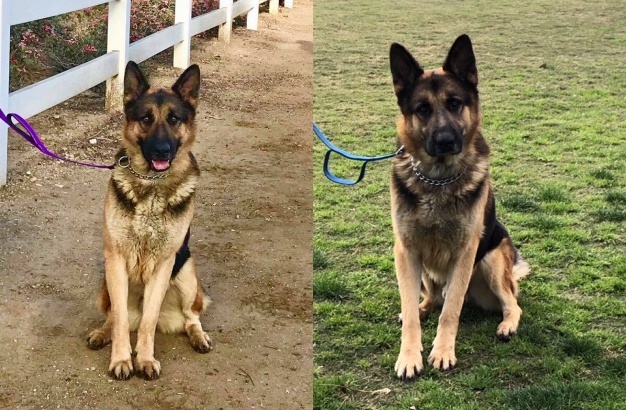 He has made friends with some of our volunteers and they are now considered his favorites. He does meet strangers nicely when out on walks with the volunteers. He is treat motivated. Simba isn’t bothered by other dogs he meets along the way. 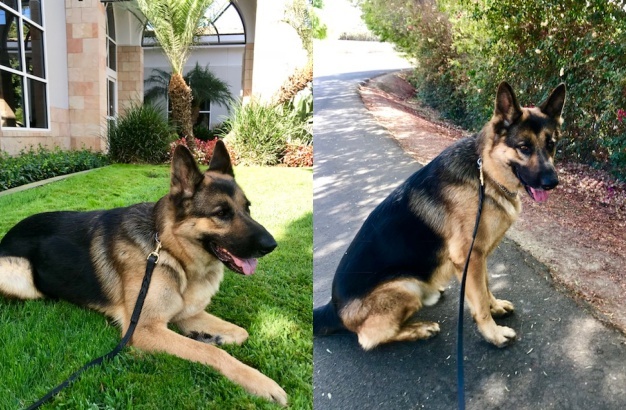 Simba is 3 years old and very strong. Our volunteers worked with Simba and he has completed his basic obedience training. He successfully completed treatment and is doing much better. We have started him on a special diet and he is getting daily medication. This has the issue under control and he is doing very well. 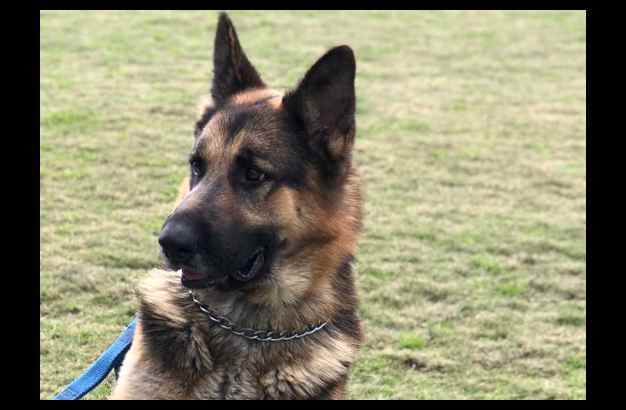 male If you would like to meet Simba, please complete the online application and an adoption counselor will contact you.